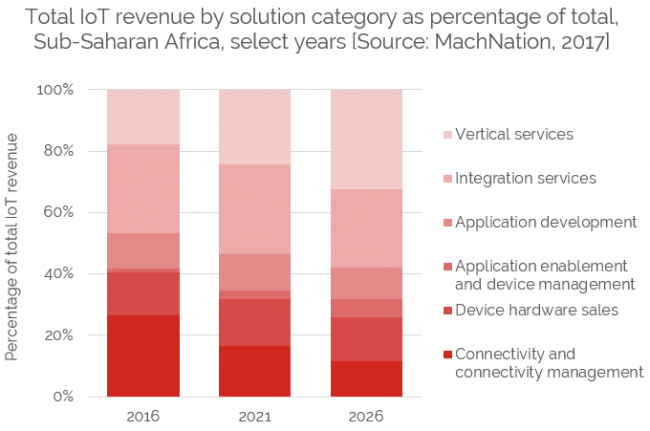 MachNation has published its updated IoT Applications, Platforms and Services Forecast 2017:2026. This revenue forecast presents data for the technology components and sub-components making up an IoT solution over the period 2017-2026. This forecast presents a technology-centric view of the IoT market to help our customers better understand product category revenue and regional opportunities. Unlike myriad legacy M2M/IoT forecasts on the market, MachNation’s forecast does not forecast the number of M2M/IoT devices with excessive minutiae. MachNation’s forecast presents a technology-centric view of IoT by forecasting relationships between technology sub-components and their relationship to the overall IoT market. MachNation customers have access to the full IoT Applications, Platforms and Services Forecast report and underlying report data.